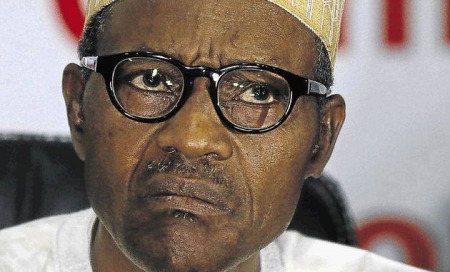 Independent Newspaper has gathered that after several months of medication and intensive care in the United Kingdom (UK), President Muhammadu Buhari’s doctors are yet to diagnose what the president’s illness is all about. A credible source in the presidency said despite series of tests and treatments from renowned medical practitioners both within and outside the UK, nobody has been able to pinpoint what ails the president except that he has completely lost his appetite for food. The failure of the presidency to tell Nigerians the actual state of health of the president has fueled speculations in the country with many alleging that the ruling All Progressives Congress (APC) is guilty of what it accused the then ruling party, the People’s Democratic Party (PDP) when the late President Umaru Yar’Adua held sway. The source in a chat with Independent Newspaper said, “Those accusing the presidency of being economical with the truth on the actual state of health of the president are missing the point because you can only disclose what you know. “As at today, nobody knows the kind of ailment battling Mr. President. Even his doctors in the UK don’t know what is wrong with him. Lots of tests have been done; in fact they have done everything humanly possible but they still can’t detect what is wrong with him. That is why the doctors have decided to place him under long observation to see if they can diagnose what is wrong with him on the long run. “When the condition became critical, they have to devise other means of feeding him, but we’re happy at the level of significant progress he has made in the last couple of weeks”, he said. He also debunked the claim by some online news media that the president is being treated for acute prostate cancer or battling with Crohn’s disease, a medical condition that could have affected his digestive system. So they've been lying since, God dey o. Wait sef, then what have you guys been treating?